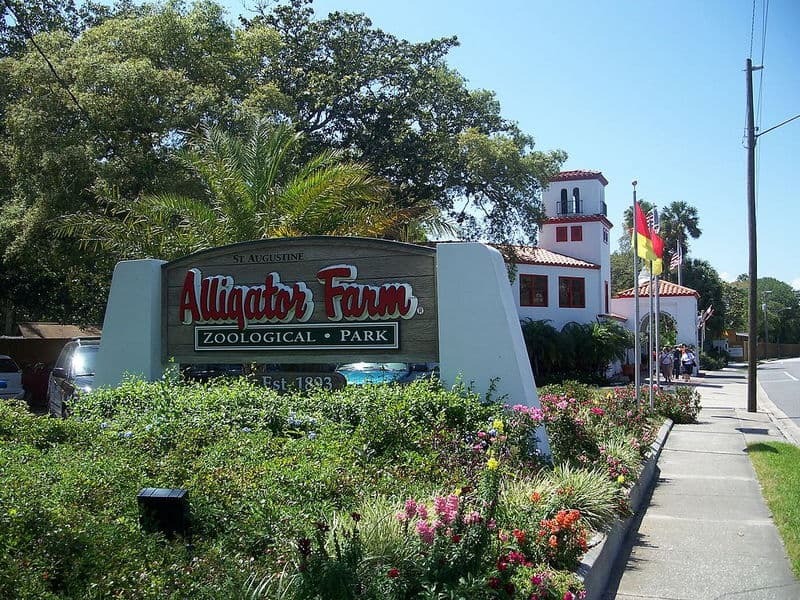 The St Augustine Alligator Farm was founded in 1893, and is one of the oldest Florida zoos. The alligator is the most Floridian of all animals, and has fascinated human beings for all of recorded history. This St Augustine attraction has introduced millions of people to the lives of the mysterious reptiles. A lot of early research on alligators was done at this facility because at one time it was home to some of the oldest alligators in captivity. Some of the results of this research were published in early scientific journals and popular magazines. National Geographic even featured a photo of a St Augustine Alligator Farm gator in 1911. The public became aware of the endangered status of alligators in the 1960's and 1970's. Publicity by the Alligator Farm helped lead to alligator preservation laws that helped the gator population recover. Today the St Augustine Alligator Farm & Zoo is accredited by The American Association of Zoological Parks and Aquariums. This accredition is only given to institutions recognized for the quality and care of their animal collections. You will see far more than alligators when you visit this zoo. They have hundreds of species including hundreds of birds, porcupines, monkeys, snakes, lions, tortoises, turtles and even tarantulas. Depending on when you visit, you can enjoy one or more of the tremendous wildlife shows the farm is famous for, some of the best of all Florida zoos. The shows include Realm of the Alligator where you will learn some little known facts about gators. Scales and Tails is another show that will teach you about snakes and other reptiles. There is also a bird show and rainforest review, and the opportunity to see the alligators being fed twice a day. 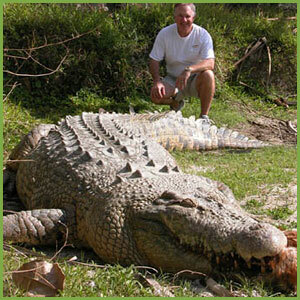 You will have a chance to see Maximo, a giant salt water crocodile from Australia. This creature is more than 15 feet long and weighs 1250 pounds. He was born in 1971, and could live to be anywhere from 60 to 80 years old. It is predicted he will continue to grow as he ages. His wife, Sydney, came with him from Australia and also lives at the zoo. The zoo also has a zip line attraction, for an extra fee, called Crocodile Crossing. It is actually an obstacle course with more than 50 different challenges, and includes 7 zips over the zoo. As you zip along suspended from a zip line in a harness, you will be looking down on alligators, crocodiles, caiman and other creatures who may also be lookiing up at you. Currently there are two levels of zip line course available, one for $25 for beginners and the other for $40 for folks with a bit more confidence. It's best to call for reservations. Consult our annually updated admission fee table, call 904-824-3337 or visit the zoo's website at www.alligatorfarm.us. Open everyday from 9am to 5pm, with extended summer hours of 9 am to 6 pm. • From I-95, take S.R. 207 (Exit 311), then turn east toward St. Augustine. • Drive 3.7 miles, then turn right onto S.R. 312, and go 3.6 miles, crossing US 1 and going over a bridge spanning the Intracoastal Waterway. • Turn left (North) on A1A/Anastasia Blvd. The St Augustine Alligator Farm is located 1 1/2 miles North on the left on A1A.